Motel open year-round with kitchenettes, six modern cabins with showers; one unit is wheelchair accessible. Wi-Fi. 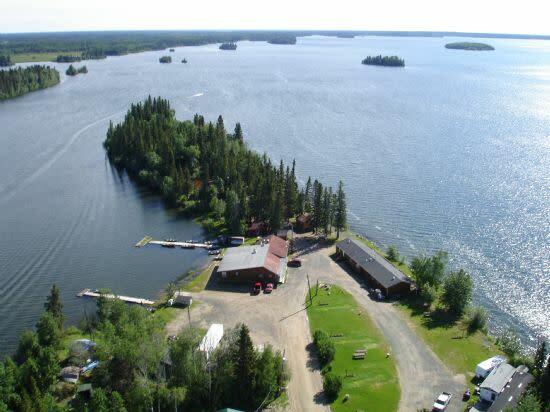 Airport limousine, beach, boats, motors, gas, oil, guides, campground, fishing licences, fly-out service. Fishing for northern pike, walleye, brook, rainbow and lake trout. Hunting for non-resident bear in GHA 7 and 7A. American package plan available. Location: Grass River Provincial Park. Open year-round. Accessible by road. Ice fishing packages. 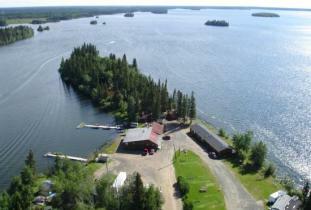 Rent cabins, boats, snowmobiles and quads.